Learn how to create an awesome origami 'blow up' star with these easy to follow step by step instructions, this shape is called an 'Octahedron'. This origami star would be perfect to use as a Christmas tree decoration, paper garland, christmas light covers, or make large ones to hang up as statement pieces! This model is based on the traditional origami water bomb, a tutorial for that can be found here. You will need just one sheet of square paper for this at any size. 2. Fold the paper in half left to right and top to bottom and unfold. 3. Flip the paper over. 4. Fold the paper in half diagonally both ways and unfold. 6. Fold all four edges into the center, creating a grid. 8. Fold all for corners to the center. 10. Fold the bottom right corner up to meet the to right square's bottom right corner. Repeat this on all corners by rotating the paper. 11. Fold all four corners inwards. 12. Collapse the left and right edges in and down to make a square base. 13. This should be the result. 14. Fold one layer from the right over to the left as shown. 15. Fold the front layer back to the right as shown. 16. Fold the the bottom right corner of the front layer over the front triangle as shown. 17 & 18. Insert the little triangle into the larger one. 19. This is what it should look like. 20. Do this to the other three flaps. 21. Open out the model like this and pick it up. 22. Blow air into the model. 24. 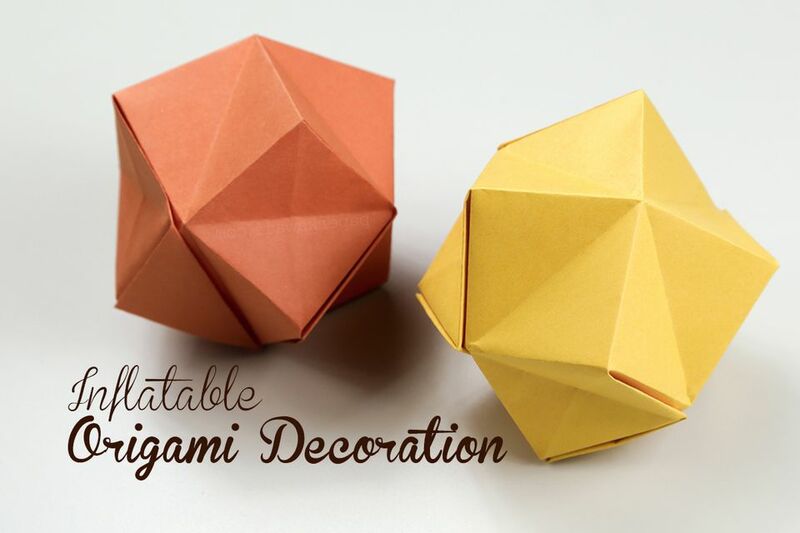 You should now have your origami star!